Step aboard Antenna Theater’s Magic Bus and take our time machine back to the 60s. 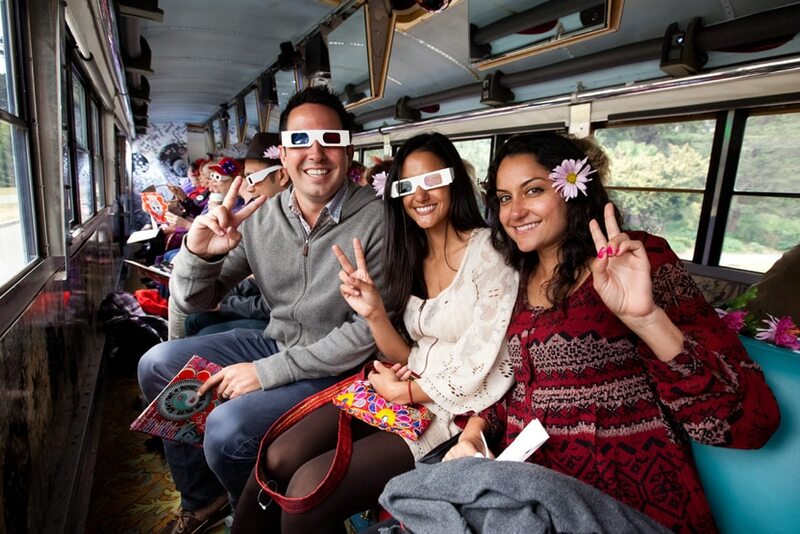 With bubbles in the air and a flower in your hair, travel with us to San Francisco’s Summer of Love. 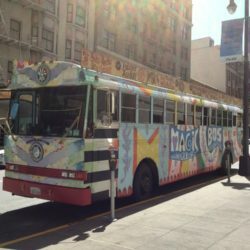 This, over two-hour, adventure is a mind-bending combination of professional theater, film, music and sightseeing that explores the visionary mix of music, art, politics and culture which came together in Haight-Ashbury in 1967… and changed the world! Union Square, Geary Street side of the Square, across from Macy’s in San Francisco. 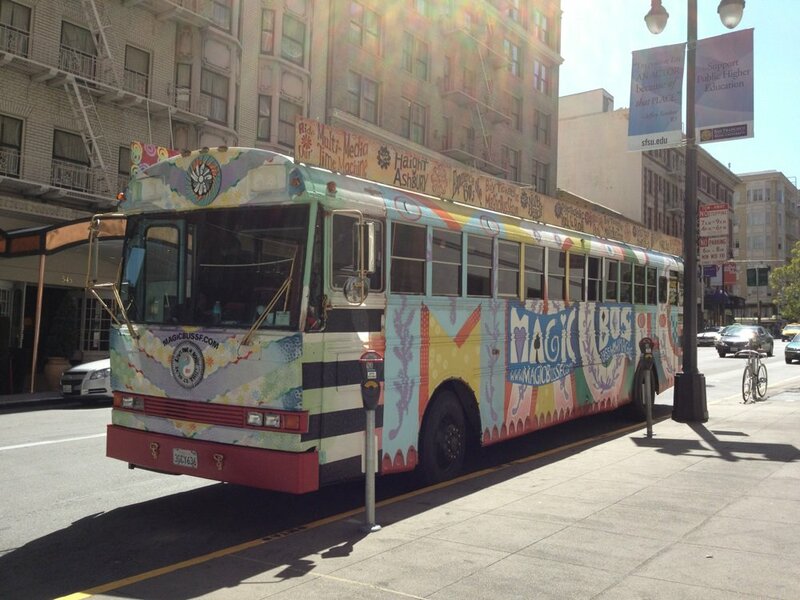 Your journey begins as you board the brightly colored Magic Bus at Union Square, in S.F. Sixties folk-rock plays, as our Hippie Hostess, surrounded by an aura of magical bubbles, invites you to time-travel back to the 60s. 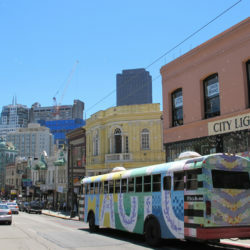 Chinatown, a culturally vibrant neighborhood in San Francisco is home to the largest population of Chinese in America. In the 60s, China, Japan, Tibet and India, were major influences on young America. 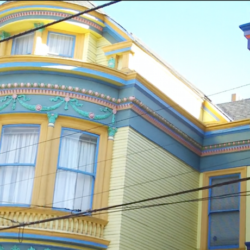 Yoga, Zen and Tibetan Buddhism, the maharishi and meditation, all offered Eastern visions of the spiritual quest reflected here in Chinatown. 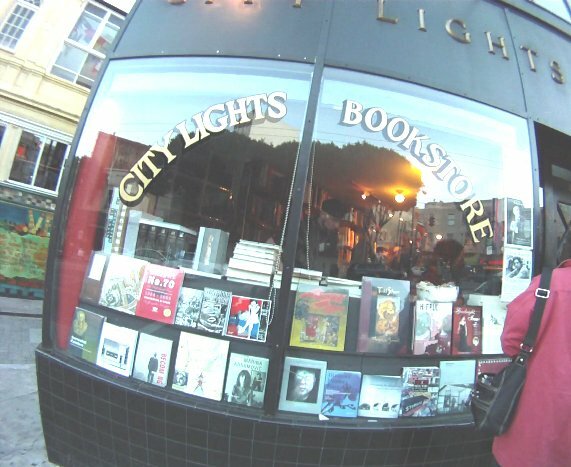 Next, we visit North Beach, where you will see City Lights Bookstore owned and operated by poet Lawrence Ferlinghetti. 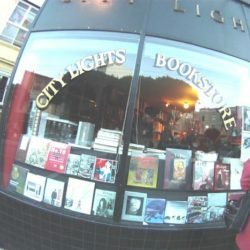 City Lights was the center of the San Francisco Beat Scene, where many famous Beat-generation poems were published and read, including the epic Allen Ginsberg poem “Howl." Next door is Vesuvio’s, where Beatnik writers like Jack Kerouac and Kenneth Rexroth created haiku and railed against up-tight, straight- laced 50s conformity. 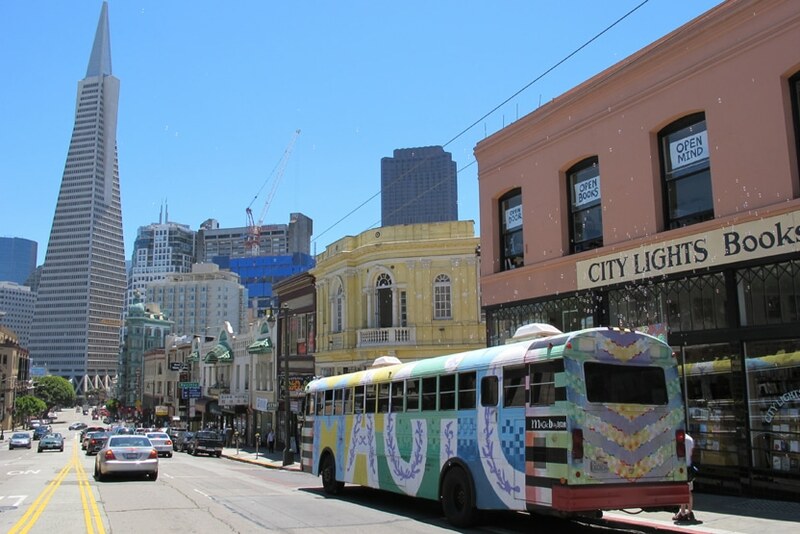 As the Magic Bus enters the Financial District, you will fall beneath the shadow of the TransAmerica Pyramid, that great, local icon of corporate America. 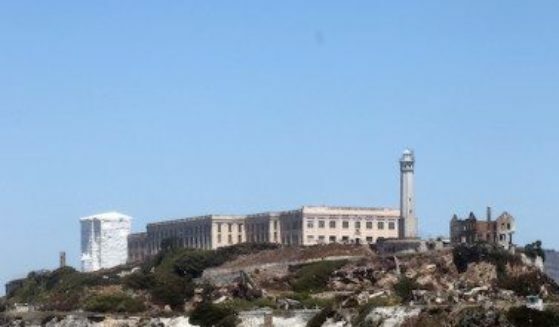 We travel between the towering banks of S.F. 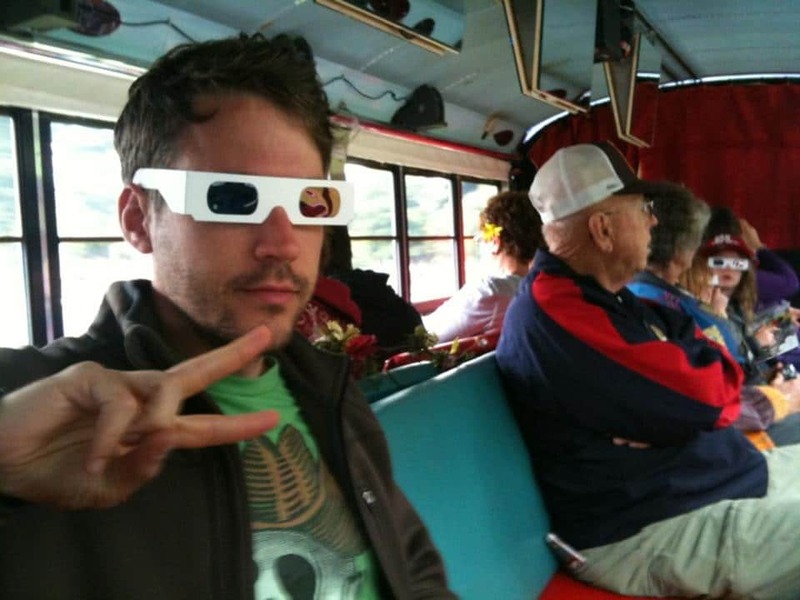 's Wall Street and hear snippets of "Nowhere Man," and other social commentary on conformity. 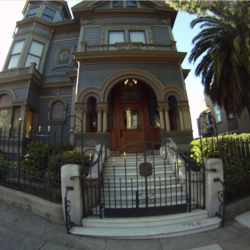 Now we'll go past a famous concert venue, the Fillmore West, where legends like Janis Joplin, Carlos Santana and The Grateful Dead made their names in San Francisco. 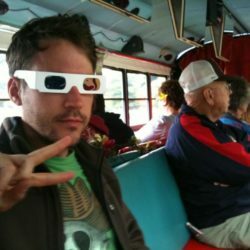 Then, by utilizing the futuristic wonders of the Magic Bus, we launch ourselves into outer space and see earth from a distance for the first time. 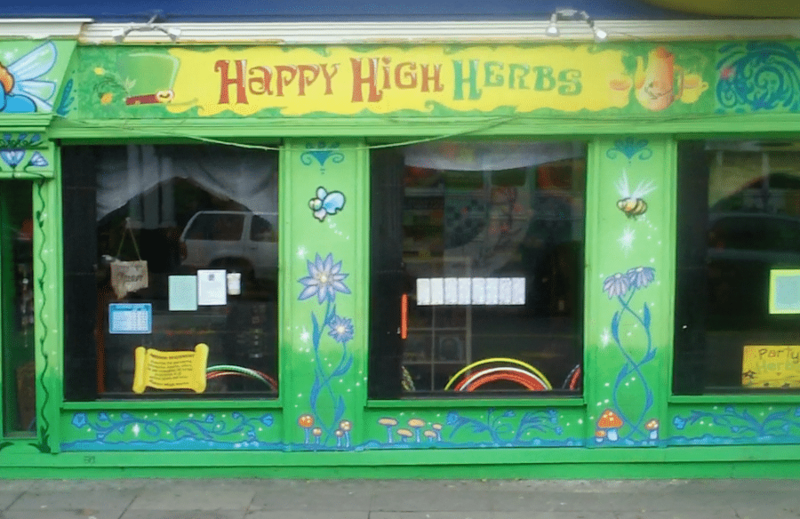 We take a mystical LSD trip just minutes before we arrive in the Haight Street neighborhood of the hippies. Wow! 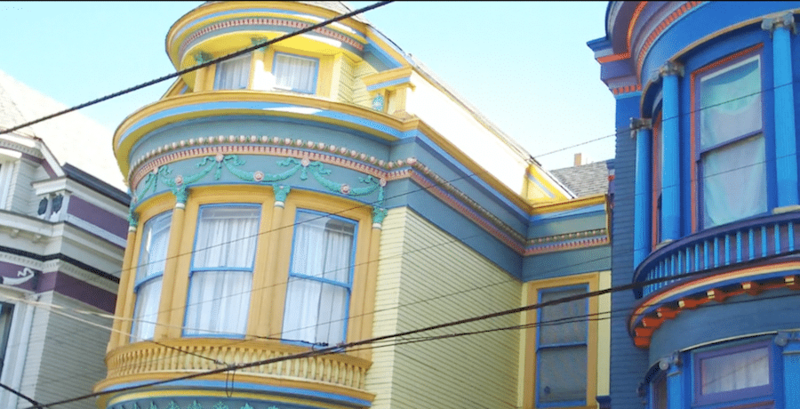 The Haight is a riotous revelation of hyper-color and hallucinatory dreamscapes. 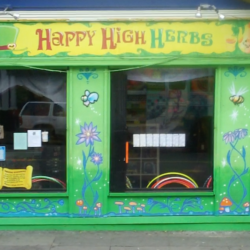 Murals and mandalas, buttons and beads... we drive right through the intersection of Haight and Ashbury Streets, the very center of the radiance of 60s Peace and Love. 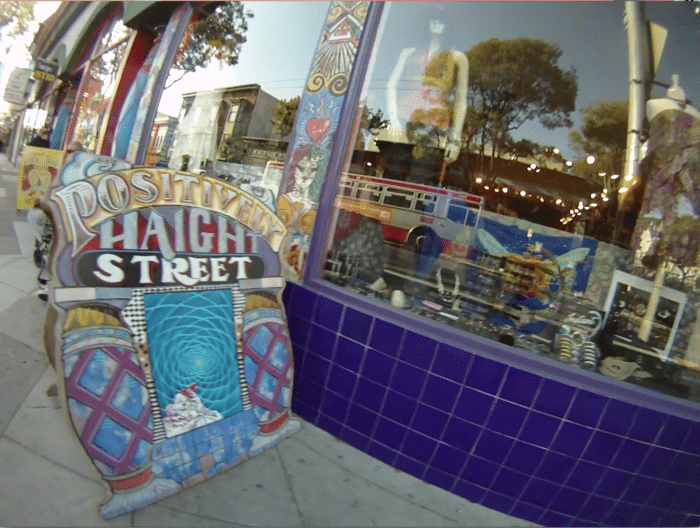 And then onward past bookstores, headshops, a real record emporium, and period costume and transgender retailers. 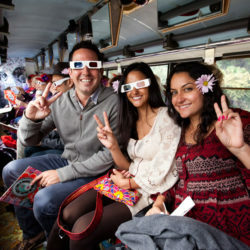 Having experienced the famous Haight through windows of time-altered perception and real life, your next destination as you explore San Francisco in the 60s is the lush gardens of Golden Gate Park. 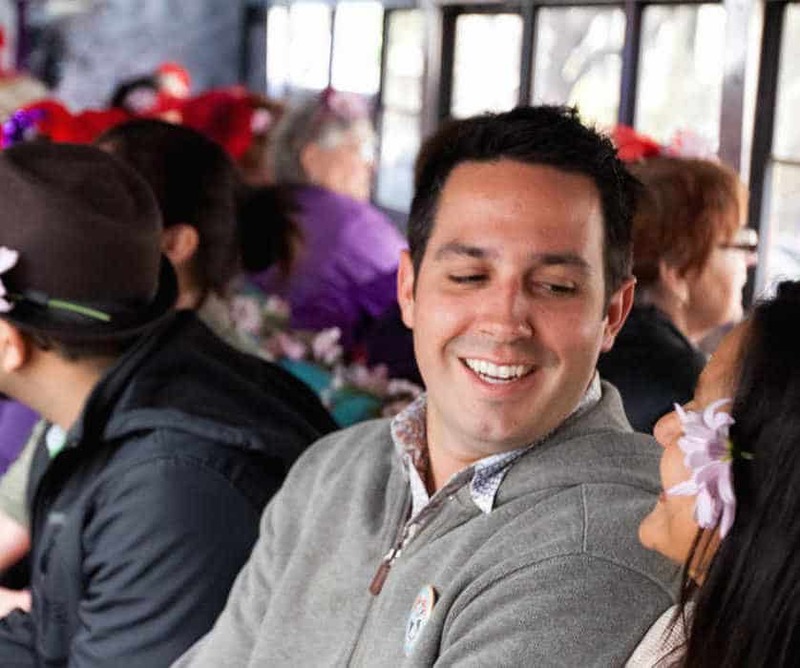 Hear how America’s largest urban park hosted the first Human Be-In and the first Earth Day. 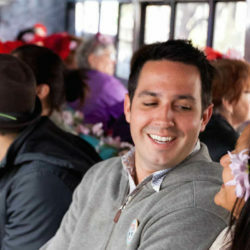 Enjoy a stop at the historic Conservatory of Flowers, and feel the grass under your feet. 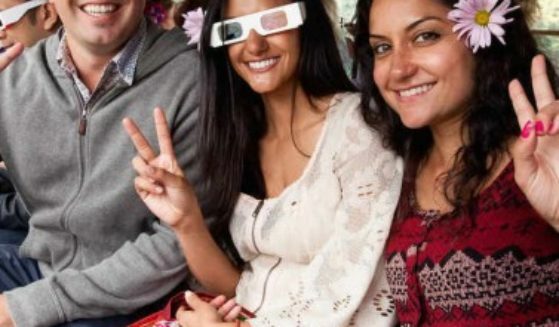 If the weather is right, you may even join a drum circle! 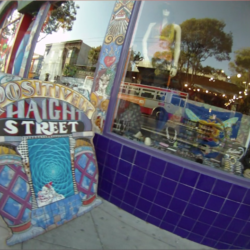 Our magic carpet ride transports us back into the Haight where we see the most outrageously painted Victorians as we roll through lower Haight and the historically, Jazz-filled, Fillmore district. 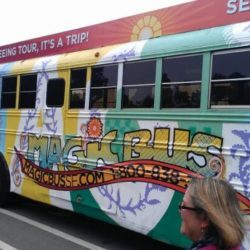 But then the Magic Bus gets swallowed up in what happens next: a Bummer Storm, as we learn about the demise of the Haight Ashbury dream and we arrive at San Francisco City Hall. 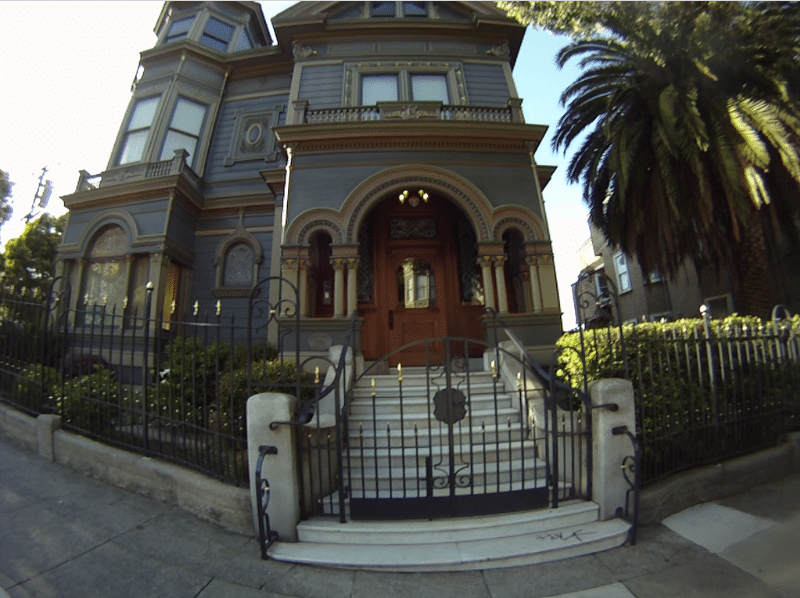 It is on these architecturally classical, government steps where rallies and protests took place over civil rights, and inside where assassinations occurred in the 70s. 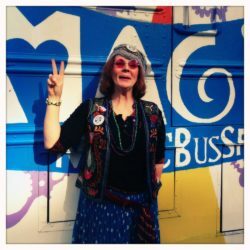 Our hippie guide wakes us from our revery of the past and returns us to our new century back at Union Square. 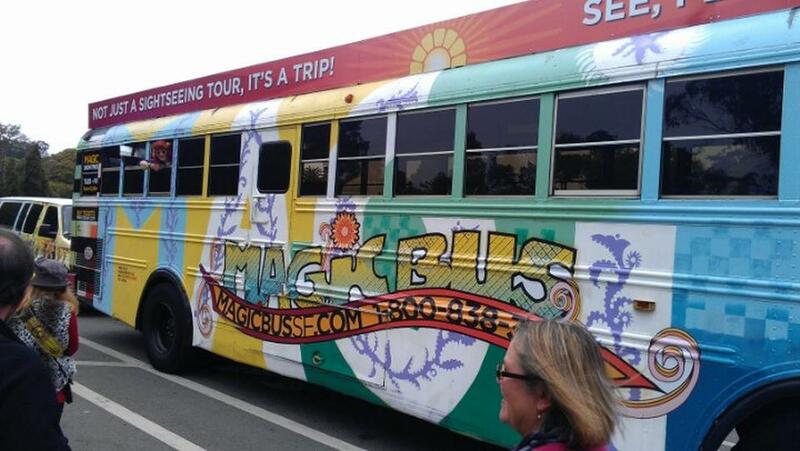 The Magic Bus is the creation of Antenna Theater, a non-profit 501c3. All donations are tax deductible to the extent allowed by law.